Wingspan 20-30 mm. A pale species with bold markings towards the wing tips (the markings are often chestnut coloured). Open, grassy habitats and waste ground. The adults fly in two generations; one in May and June and a second in the autumn. They are regularly attracted to light. The larvae feed in the stems and flowers of Coltsfoot. 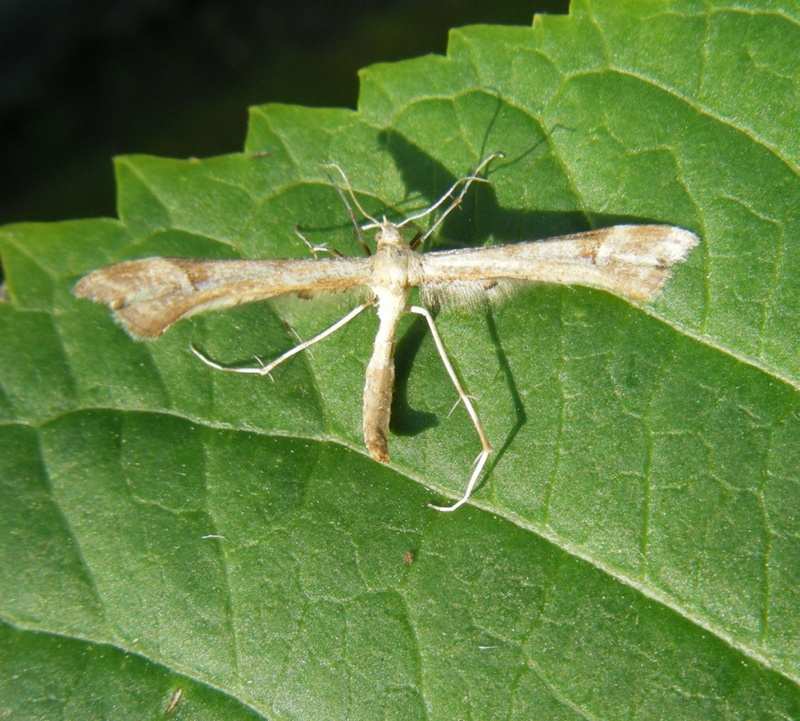 This relatively common member of the 'Plume' moths has a widespread distribution in Britain. In the Butterfly Conservation’s Microlepidoptera Report 2011 this species was classified as common.